Exploring the Employment Tax Incentive: why, how and could it work? 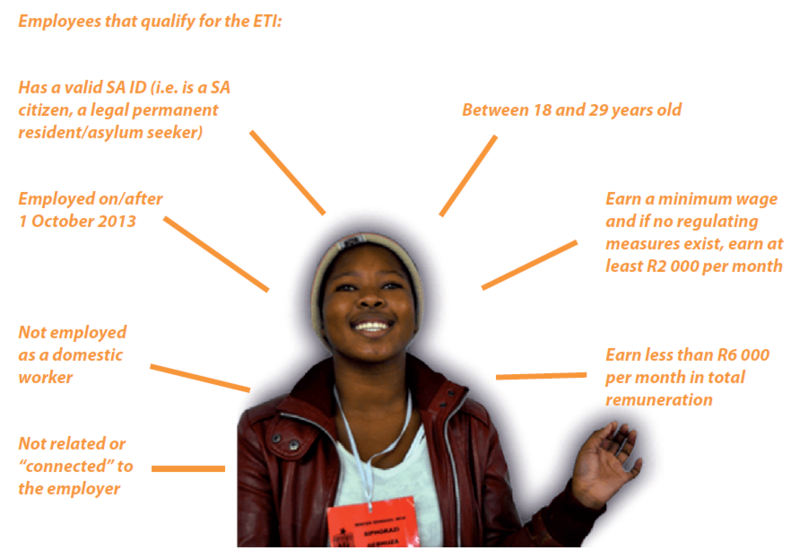 The Employment Tax Incentive is a Government initiative, part of a multi-pronged strategy to tackle high youth unemployment in South Africa. The employer claims the incentive by reducing the total employee tax (Pay-As-You-Earn/PAYE) amount payable each month to the South African Revenue Service (SARS) by the total employment tax incentive amount for qualifying employees. It is, therefore, a cost-sharing mechanism between the employer and Government, while the employee’s wage remains unaffected. Its main objective is to create more employment opportunities for youth while at the same time, improving their skills levels and employability. However, in a context where economic growth is lacking, the magnitude and the design of the incentive (which includes a sunset clause and deterring penalties) make the prospects of using the incentive to create new job opportunities for young people seem unlikely. Yet, we know that if young people are hired, there is a very strong probability that it will improve their employability since people with previous work experience are three times more likely to find a job than those who have none. With more than three million young people currently unemployed, it seems imperative that we create opportunities to experiment with and to improve policy design to create jobs for young people. The Employment Tax Incentive is such an opportunity. In this learning brief we explore the Employment Tax Incentive from various perspectives, also providing useful information for organisations interested in participating. Download and read it here.